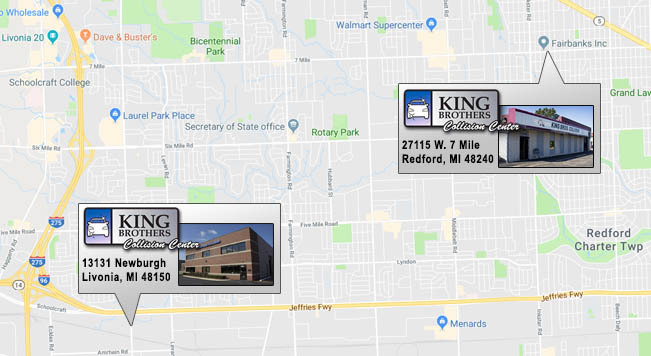 King Brothers Collision offers full custom paint services to Redford Michigan and the surrounding regions. We provide complete factory finish color matching to guarantee the job is done right the first time. We do custom paint work on cars, motor cycles, jet skis, and snowmobiles. If you have damage to your paint that requires touch up work or if you need a complete custom paint job our expert team is standing by to handle everything.